I fell in love with the mesmerizing music of Gamelan Tunas Mekar the first time I heard it. The Denver-based group was my introduction to the rich traditional music of Bali and Indonesia, with its intricate patterns and precise time signatures. It's a music that's propelled by an ensemble of percussion instruments and flutes: Bells, drums, gongs, xylophones and metallophones. The music is groove-y to the max, and hypnotic with its percussive repetition and variations. Gamelan Tunas Mekar is really good at performing Gamelan music, and visually they're dynamic on stage not only because of the orchestra of unique instruments that are arranged on stage, but also because they showcase sinewy, traditional Balinese dancing. The group is celebrating its 25th anniversary this year. Most of the members of Tunas Mekar are not from Bali or Indonesia, but the group takes the authenticity of its music seriously. The members have learned from two Balinese masters who've passed along their knowledge. Its second master, I Made Lasmawan, moved to Colorado and has been Gamelan Tunas Mekar's Artist-in-Residence since 1993. 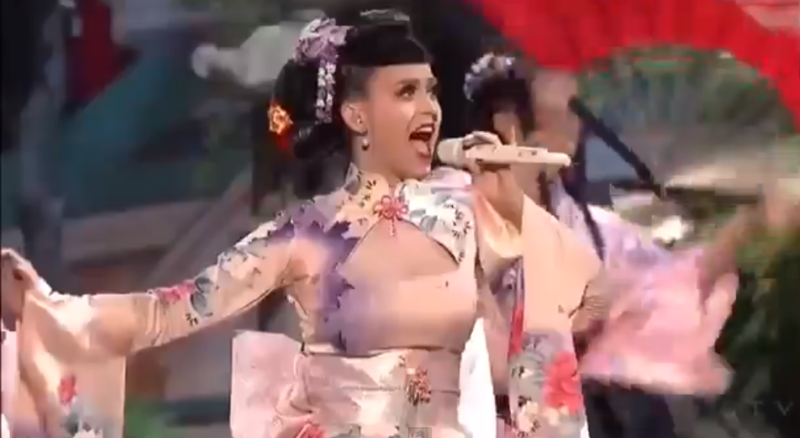 Katy Perry opened the American Music Awards with an over-the-top performance of her song "Unconditionally," dressed in a gaudy, faux-Japanese kimono (with Chinese-style mandarin collar and slits up the legs, as well as American-style exposed cleavage) and painted in hideous full-yellowface makeup to fake an "Oriental" look. The performance has sparked some outrage in both the blogosphere and mainstream media. Maybe that's what she wanted. She's probably pissed that Miley Cyrus has been getting all the media attention recently for her edgy, racy performances. The opening notes of the AMA segment (below), plucked out on shamisen, a traditional Japanese stringed instrument, while a woman in kimono was silhouetted behind a Japanese shoji screen, had me hopeful that something that showed respect, appreciation and understanding for Japanese culture was about to be broadcast. But no. As the screen is pulled away and the woman behind it -- Perry in her fake kimono -- started singing, my heart sank and my gut clenched. Here we go again, a cultural mishmash of what white people think is "Japanese" all thrown into one ugly, cluttered, throw-in-the-kitchen-sink four-minute nightmare. 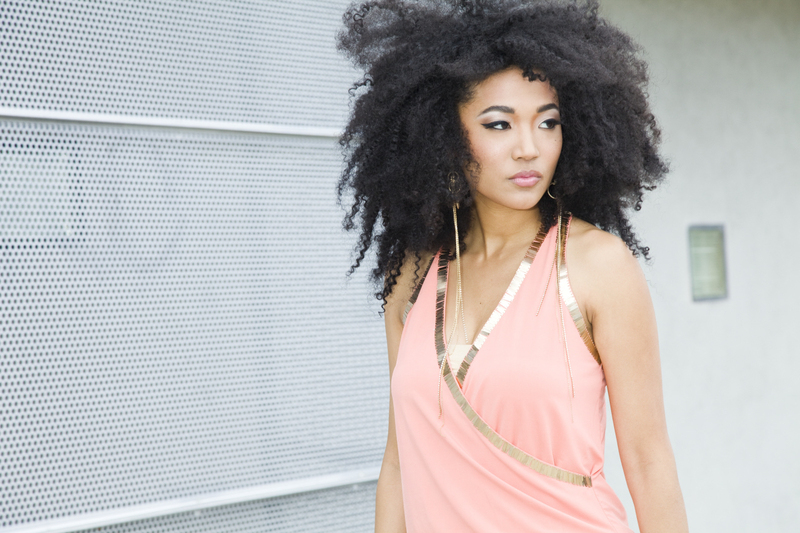 I was lucky enough to see Judith Hill perform during the 2010 convention in Los Angeles of the Asian American Journalists Association, when she played a set for opening night. Hill had a unique story as a performer: The daughter of an African American father and Japanese mother who are both professional musicians, she earned a degree in music composition. She woodshedded in France in 2007. Hill's professional breakthrough was supposed to be as Michael Jackson's duet partner for the "This Is It" tour. Yes, that's the tour that never happened because of Jackson's sudden death in June 2009. Although she was unknown at the time, Hill caught the attention of the world when she sang the lead on "Heal the World" during Jackson's televised memorial service. Her remarkable talent as a singer was also showcased in the October, 2009 release of the film "This Is It" documenting the rehearsals for the tour. Then she went largely off the grid. 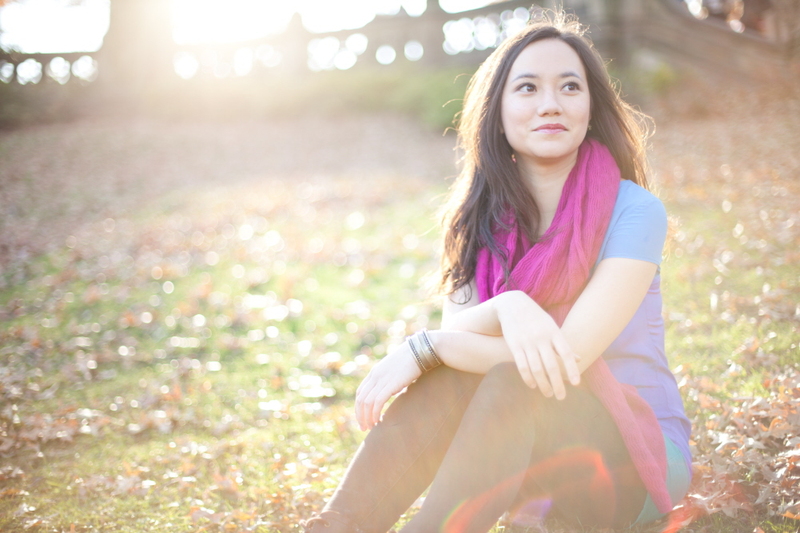 Mara Measor's eponymous debut album is a late summer treat, a collection of songs colored by a diverse palette that span roots in folk, jazz and alt-rock, with a splash of arty chamber pop thrown in. 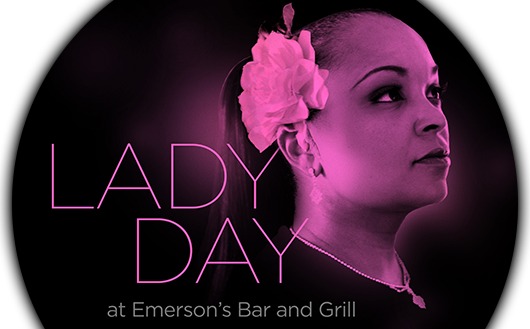 Her stylistic range merges into a studied sound that's both memorable and intellectually satisfying. (Kudos to album producer Jamie Lawrence for his light touch and diverse approach to framing Measor's music.) Her bio compares her to a mashup of Jason Mraz and Regina Spektor, but Measor's artistic scope also reminds me of a Jane Siberry, an idiosyncratic Canadian singer-songwriter who's less known because she's marched to a different drum all her career. Measor's music has a broad appeal so I hope that she won't have to work the margins of the mainstream and can break through to a wider audience. "Mara" deserves to be heard. It opens with insistent acoustic strumming that punctuates the desperation of "Desperate for You," and the track introduces Measor's supple, sultry voice, which can soar from a whisper to a full-throated roar, matched by an arrangement that builds when it needs to and then returns to a plaintive piano and Measor's solo strumming to let the listener back down. 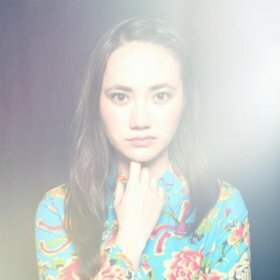 The tracks that follow showcase her sensibility with mostly downbeat ballads and mellow swing and her wordsmithing -- the only cover on the album is Coldplay's "The Scientist." Los Angeles-based rock band Day Above Ground made a big deal of its July 27 debut video release of "Asian Girlz," but it's backfired and led to intense condemnation from Asian and Asian American groups and individuals. Add me to the list, please. This song and accompanying video is offensive on so many levels I'm practically speechless. It traffics in lowbrow racial stereotypes and low-bro sexual braggadocio about its subject line, Asian women. The combined IQ of the group must be abut 10, given their pre-teen horniness and neanderthal attitudes. It's hard to imagine any other intent -- social satire commentary, a criticism of sexual objectification of Asian women, clumsy attempt at post-racial parody -- than a bunch of dudes who fantasize about Asian women and their "creamy yellow thighs... slanty eyes" and other body parts. I hate the ching-chong wonton font that's used for the title credits. I hate the ching-chongy intro melody that evokes Asia Hollywood-style which crops up at various points in the song. It's an aural code as immediately identifiable as buck teeth and squinty eyes. I hate the smug white privilege that oozes from the singers' faces as they croak "You're my Asian girl." And I hate the creepy strip tease participation of model Levy Tran as she goes from enjoying these pint-sized pinheads' attention as they sing to her from a birdcage to letting them jump into the bathtub with her and swim between her legs. Yuck. I mean, really yuck. It was at Denver Mayor Michael B. Hancock's suggestion that the nine members of the Montbello High School Drum Line got the chance of a lifetime -- to take the second historic flight of the Boeing 787 Dreamliner on United Airline's new direct flight between Denver and Tokyo. The students raised money for the trip with the help of sponsors, and they performed their synchronized drumming at the U.S. Ambassador's home in Tokyo, and several times in Takayama, Denver's sister city. The news report below is a sample of a half-hour special that airs this Friday, July 19 at 9:30 on KDVR Fox31. 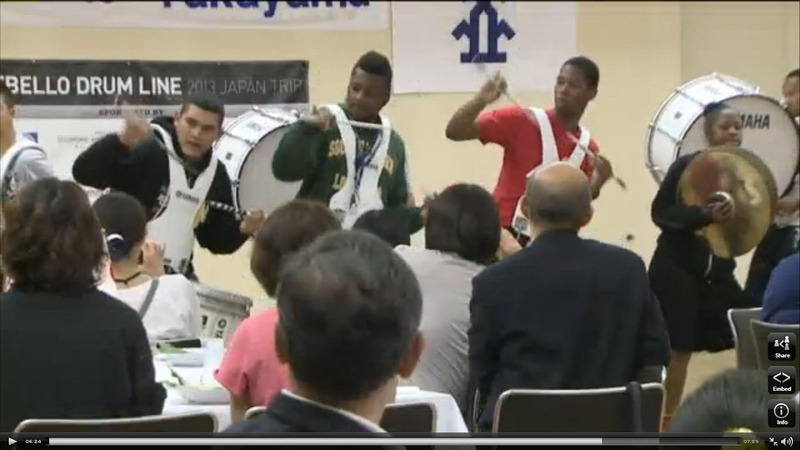 These students were cultural ambassadors for Colorado in Japan. So the Colorado Dragon Boat Festival is proud to introduce the Montbello High School Drum Line as one of the highlights of this year's Opening Ceremony. The Opening Ceremony, which begins at 10 am on Saturday, July 27, also includes a spiritual Eye-Dotting Ceremony with chanting Buddhist monks to awaken the spirit of the dragon boats; a dynamic Dragon Dance; and an Olympics-style Team Parade. The Drum Line will get the chance to perform in front of Mayor Hancock, who will speak during the ceremony.